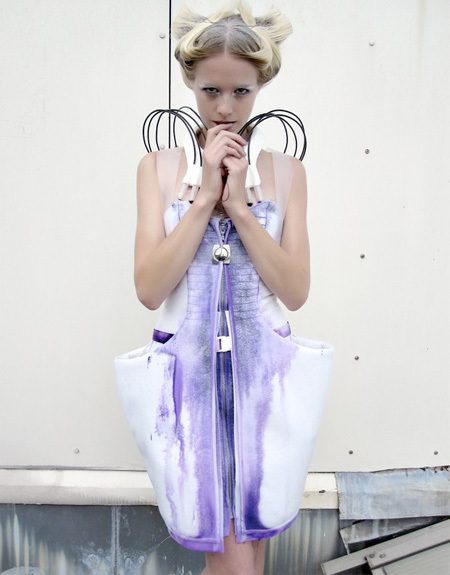 Collection of the world’s most unusual, weird, and creative modern dresses. 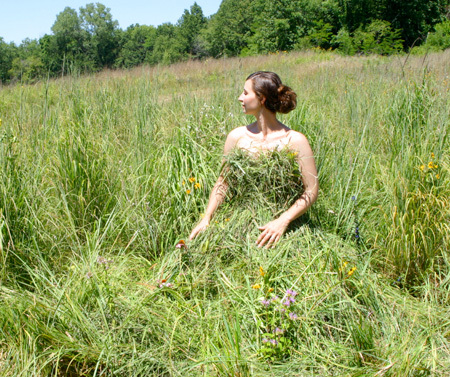 Stylish dress created for Orbit Mist print advertising campaign. Make your own designs by adding colours with textile markers. Shocking dress made of meat for Lady Gaga by Franc Fernandez. Stylish dress made by Jeremy Scott out of regular plastic trash bag. 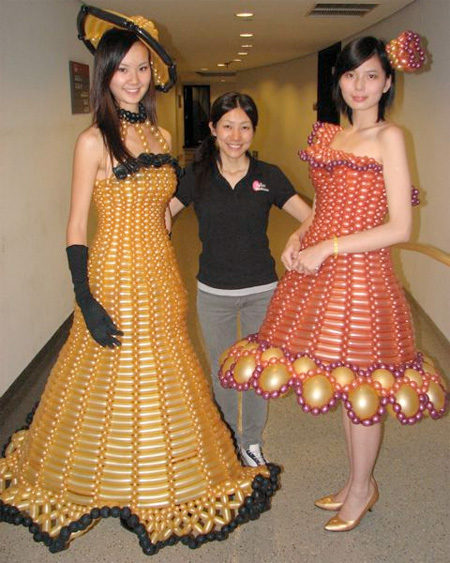 Unique dress made by Jane Tan out of soda can tops and bottoms. Creative “dress” sculpture by talented artist Robin Barcus Slonina. Elegant black and white laser-cut floral stencil dress by Marchesa. Futuristic dress made of interactive technologies and smart e-foils which becomes transparent based on personal interactions. 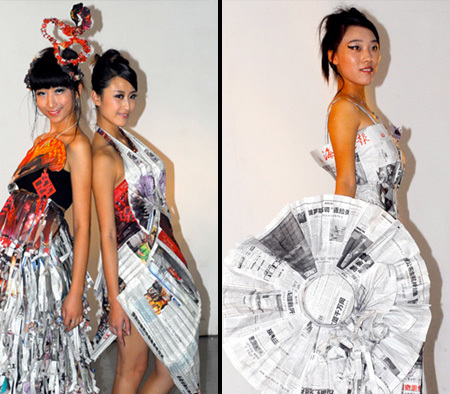 Recycled newspaper dresses made by university students in China. Pseudomorphs dress uses ink to create unique fluid designs. I could cook GaGa’s dress over a fire and enjoy it more. So basically, the ink dress is like a giant maxi-pad that they show in commercials to show off its absorbency. Lady Gaga’s dress is the WORST i’ve ever seen! I think that laser cut dress looks very cool! Love both The laser cut dress and toilet paper one. They’re so amazing. 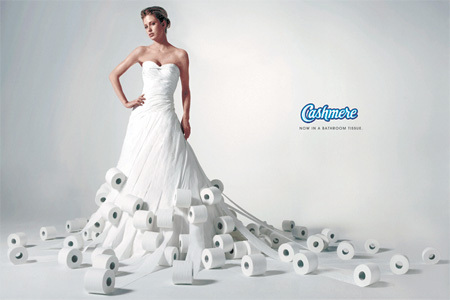 i love toilet paper dress , it’s really unique. You stole my words. What a waste of freaking time. The umbrella dress brings so many interesting things to mind. Let it rain! Um, isn’t that garbage bag just turned upside down and slit for arms? How is that a design? I made dresses like that (but with belts, and paint!) in the 80s in highschool. The soda can dress actually looks pretty cool but if you sat down, wouldn’t you just crumple and bend all the can tops and bottoms? I like the ink dress. It’s very artistic/sci-fi. would be cooler with more than one color though. or a monochromatic color scheme at least. #1 favorite is the laser cut dress. I’d wear the crap out of that. 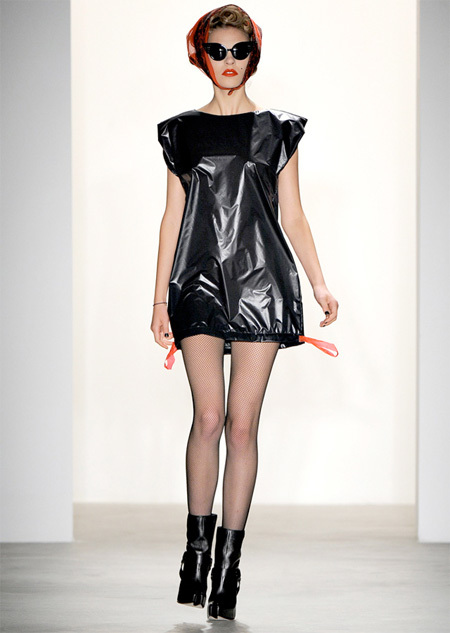 the garbage bag dress though? not impressed by things I could make in two seconds myself, and have made in the past when it’s pouring rain and I have no umbrella. lovin the loo roll dress !! The grass one would be an amazing camouflage! my favourite is the colour in dress, cuz u can have a different design all the time. You couldn’t sit down with the balloon dress! You’d be nakey! The balloon ones look like darleks going to a fancy dress! With all the crazy and inspiring couture dresses created I believe that some of these dresses should not be on the list. I don’t understand that intimacy dress… does it turn transparent when it senses that you are about to do it with someone? Sounds awful but I guess it is an interesting exploration of technology. The umbrella dress is cool, and the laser cut one is pretty. The balloon dresses can be really fun… or horribly embarrassing depending on when they pop. The ink dress is unnecessarily complicated. You could get way cooler designs if you just painted on a dress, rather than have that dumb automatic contraption doing it for you. Most are…I’ll leave it there. I’m glad Lady Gaga made the list. She trully pushes every previously pushed buttons. It’s nice to see POP culture grow again. I love the toilet paper dress!!! and the laser-cut dress very cute! but i hate the intimacy dress and the meat dress…who wears meat?! Lady Gaga’s dress is just nasty– not creative, not funny, not interesting. It’s just gross. There’s a thin line between “different” and “deranged”, and she has definitely crossed it. Making the TrashBag dress for a halloween costume contest and dance! Think I will win? The umbrella dress is amazing!!!!!!!!!!!! i couldn’t think of a different look for my final project in my fashion concepts class, but then i came across this unique umbrella dress and i have to try it. I however can’t use any fabric whatsoever for this final project, that includes thread, but i know what i will to sew it together with. But another great idea is the garbage bag, which i will also try that one as well.